"Ola na mele Hawai`i i na pu`ukani" Congratulations to this year's Na Hoku Hanohano nominees and winners! Mahalo for sharing your music with Hawai`i and around the world. 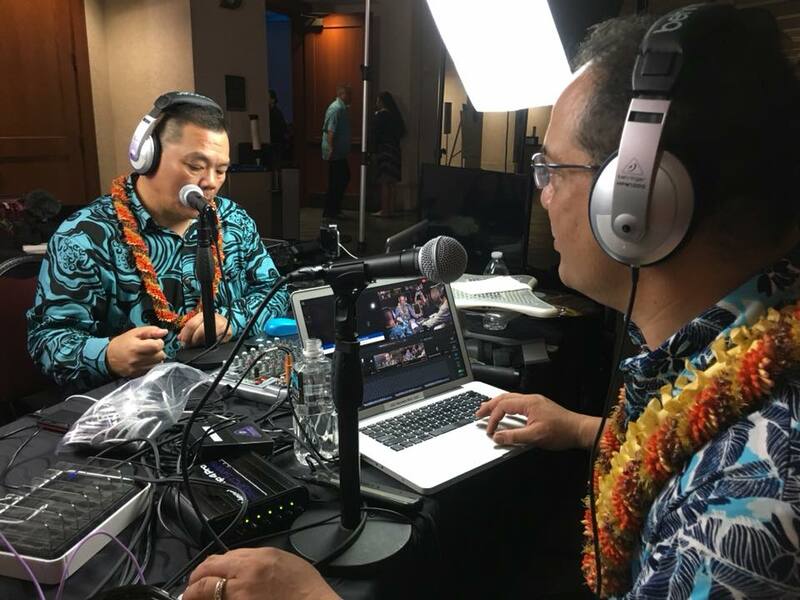 Hawaiian Music Live would like to thank the Hawai`i Academy of Recording Arts for allowing us to do our 6 hour live streamcast from the 41st Annual Na Hoku Hanohano Awards! We also send a Big Mahalo to all the artist and special guest that graciously took the time to stop by and "talk story" with Bruddah Wade, Billy V, Aaron Mikami and JD Puli. Luana Maitland of Kani Ka Pila Grille; Outrigger Hotels and Resorts, Natalie Ai and I`olani Kamauu, Zanuck Lindsey, Manu Boyd, Mailani, Hoku Zuttermeister, Kamaka Kukona, Clifford Nae`ole (Cultural Advisor) and Mike Kass (General Manager) of The Ritz Carlton Kapalua, Josh Tatofi, Kawika Kahiapo, Pat Simmons, Jr., Evan Khay, Stef Mariani, Nicholas Lum and Jonah Solatorio of Keauhou, Kimie Miner, Kahulanui, Kelly Boy De Lima, Kapena De Lima, Kalena Ku De Lima and Lilo De Lima of Kapena, Kalani Pe`a, Bryan Tolentino, Leipono, Larry Dupio and many more...mahalo, mahalo, mahalo! >> Where: Kalakaua Ballroom, Hawai’i Convention Center, 1801 Kalakaua Ave.
HONOLULU, HI (May 3, 2018) – The Nā Hōkū Hanohano Awards announced the star-studded lineup scheduled to take the stage, celebrating the best in island music. The 41st Annual Nā Hōkū Hanohano Awards, which takes place Saturday, May 19, 2018, at the Hawai'i Convention Center will feature the biggest lineup of performances in the event's history. Honoring Hawai'i's most talented and gifted musicians, songwriters, and producers in 34 different categories, the event also features a lineup of unforgettable performances by icons in Hawai'i's music scene, performing together with some of this year's nominees. "One thing that makes the Nā Hōkū Hanohano Awards so special are the performances--pairing some of this year's nominees and industry icons side-by-side. It truly makes for a chicken skin experience that guests will never forget," said Pali Ka'aihue, president of the Hawai‘i Academy of Recording Arts. "If you can't make it down in person, we hope you will tune in on TV or online to catch some of your favorite performers live!" This year, music lovers can catch every single award and performance from the comfort of home on K5. For the first time ever, all 36 awards--including two honorary awards--and 15 performances will be televised live starting at 5:30 p.m. and streamed online. The Nā Hōkū Hanohano Awards recognizes the winners in 34 different categories selected by the more than 600 members of the Hawai'i Academy of Recording Arts (HARA). 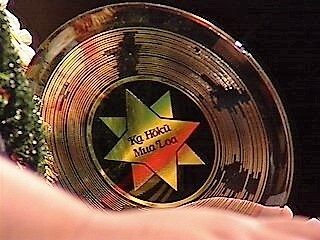 The 41st Annual Nā Hōkū Hanohano award show will be held on Saturday, May 19, 2018, at the Hawai'i Convention Center. Tickets start at $175 for General Admission, $150 for Kama`āina and are $250 for Premium Seats. To purchase call (808) 593.9424 or visit www.nahokuhanohano.org/. This year guests who attend the awards can keep the excitement going at the first Nā Hōkū Hanohano Awards After Party produced by Amy Hanaialii Gilliom and brought to you by HARA and Outrigger Resorts. The event will take place from 10 p.m. – 12 a.m. at the Hawai'i Convention Center. Tickets cost $65 and can only be purchased with an awards show ticket. Each ticket includes two drinks and pupu. The Nā Hōkū Hanohano Awards is one of Mele Mei's 2018 signature events. Mele Mei, which translates to "May Hawaiian Music Month," features a number of musical performances throughout the Hawaiian Islands. The celebration provides both residents and visitors from around the world a chance to immerse themselves in the islands' local music and culture. This year's schedule of performances will take place at various hotels and venues statewide and feature entertainment from ‘ukulele and steel guitar to traditional Hawaiian music and hula. Mele Mei 2018 is sponsored by the Hawai‘i Tourism Authority and Hawai'i Academy of Recording Arts (HARA). An up-to-date schedule of this year's events can be found online at www.melemei.com under the "events" tab. For more information on Mele Mei please visit www.melemei.com. You can also follow Mele Mei on Facebook at www.facebook.com/MeleMeiHawaii, on Twitter at www.twitter.com/melemei, and on Instagram at www.instagram.com/melemei as well as the hashtag #melemei2018. Featuring a multitude of performances throughout the Hawaiian Islands, Mele Mei provides both residents and visitors from around the world a chance to immerse themselves in the islands' local music and culture. The annual event features an impressive schedule of artists and industry icons at various hotels and venues statewide with entertainment from 'ukulele and steel guitar to traditional Hawaiian music and hula. For more information on Mele Mei please visit www.melemei.com. The Hawai'i Academy of Recording Arts (HARA) was established in 1982 with a mission to preserve, perpetuate, promote and celebrate Hawai‘i's music and recording industry. The organization is responsible for coordinating and hosting the Nā Hōkū Hanohano Awards, which today has evolved into an industry awards ceremony administered by recording professionals. 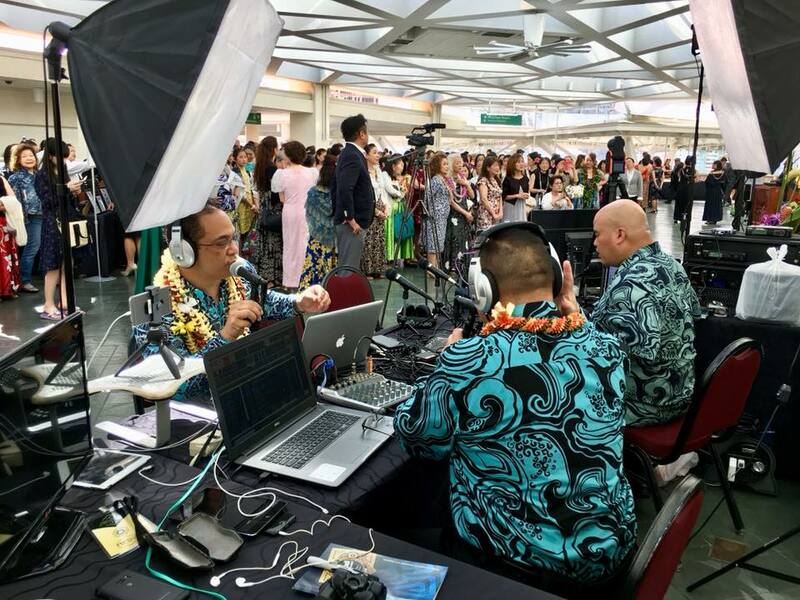 Those who can't attend in person can listen to Hawaiian Music Live's live streamcast starting at 4:00 p.m. (HST). See the list of every Na Hoku Hanohano Award winner for the past 40 years, for Male and Female Vocalist of the Year, Group of the Year, Most Promising Artist of the Year and Album of the Year from 1978 - 2017.